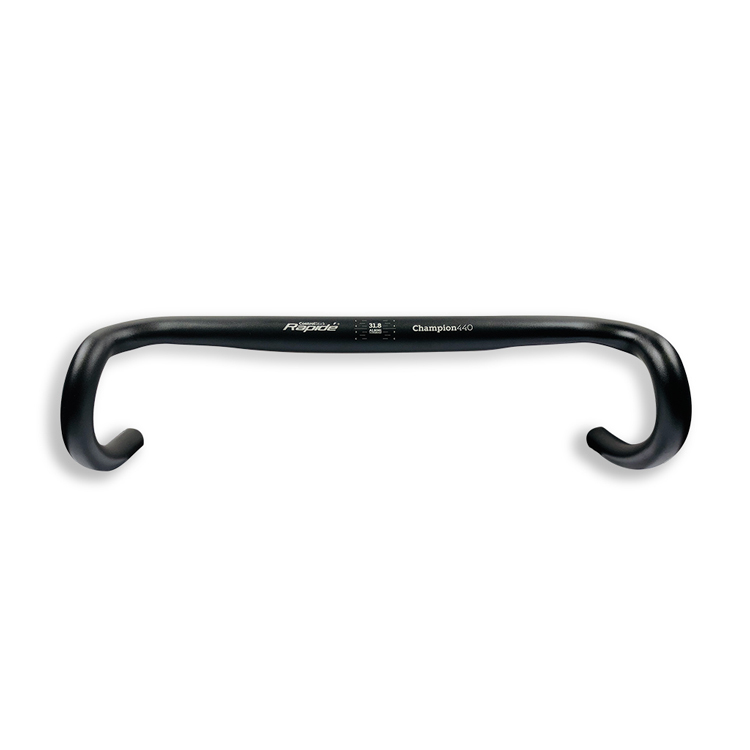 Rapidé Champion Flat Top Bars have a flattened wing shaped top section for extra comfort and improved aerodynamics. 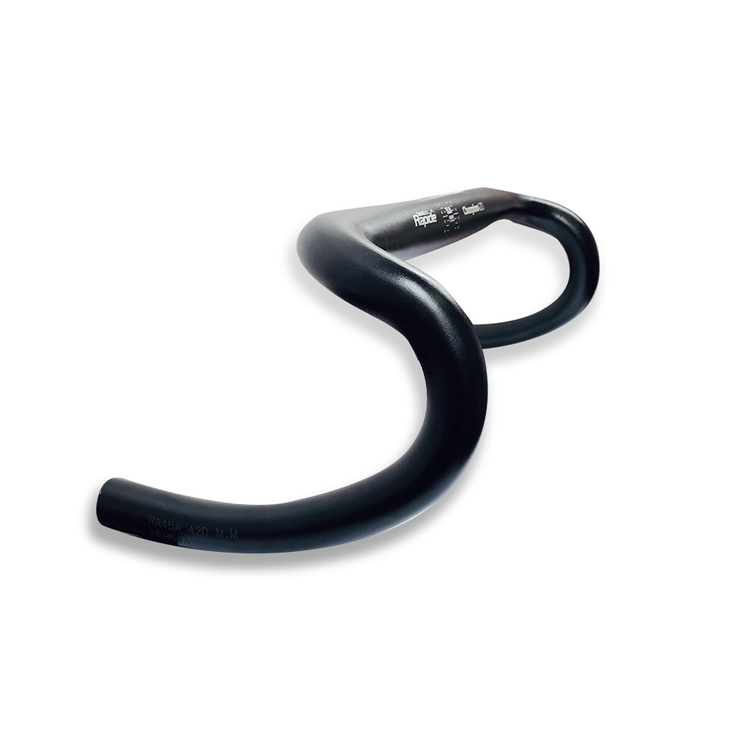 The 10° flared drops provide extra width in the drops for out of the saddle efforts and increased control. 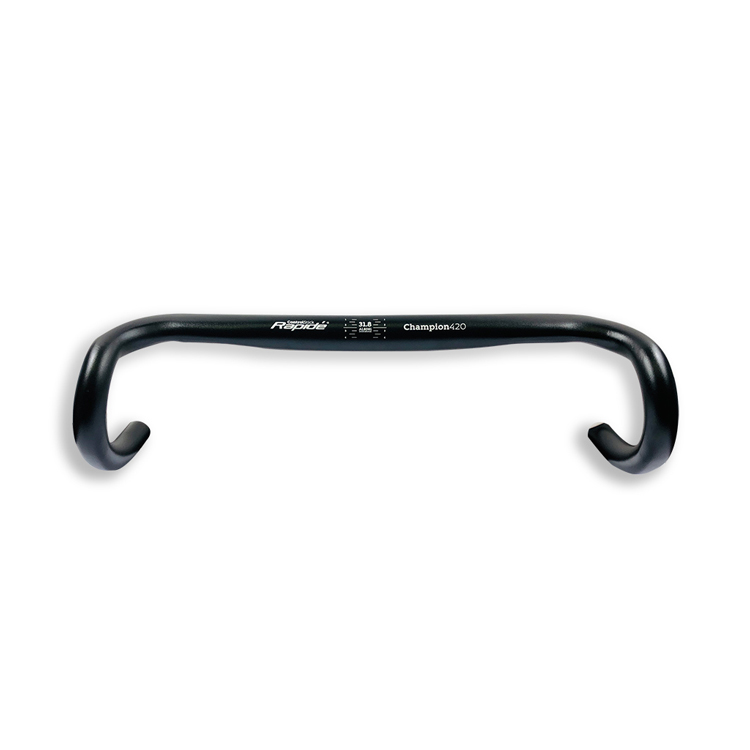 Wrist clearance is also increased, providing unhindered movement between the drops and the hoods for quick position changes. 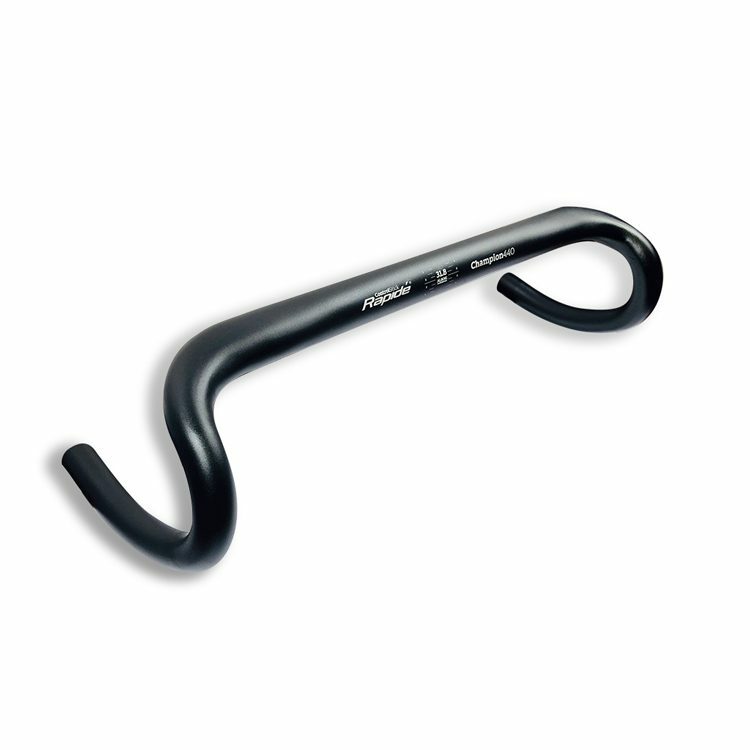 The compact drop makes the Rapidé Champion bar ideal for long days in the saddle. The shallow drop is very comfortable and the flared drops gives more space/freedom when sprinting.